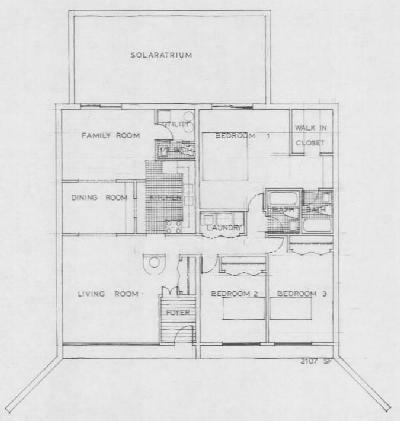 This is a traditional earth home "elevational" type plan, where the front side is exposed and the back side solar atrium extends out of the ground. The photographs in our photo section are actual photographs of this floor plan, constructed for our model home. 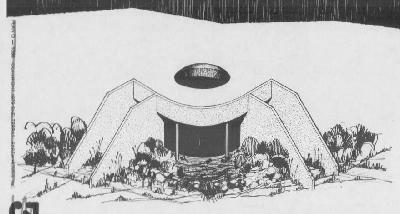 This is a traditional earth home "atrium" or "atrial" type floor plan. Atrial plans are primarily used for warm weather climates, where the primary goal is cooling. Most major rooms are grouped around a "central atrium" that allows light and natural cooling through ventilation. 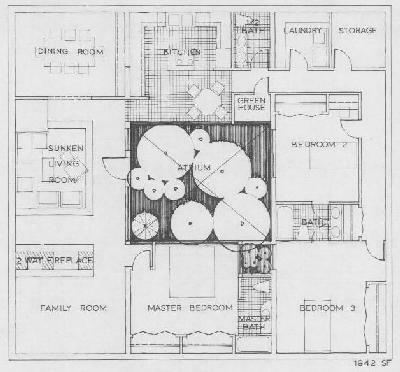 This is a non-traditional, "penetrational" type of earth home plan, where the floor plan is more freeform and penetrations are utilized for light and ventilation, as needed for the actual plan. 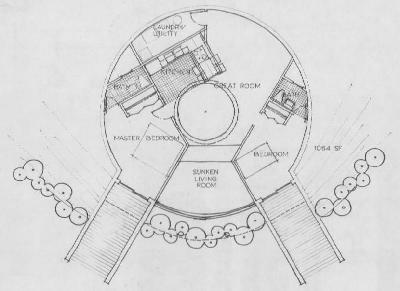 This is a combination of all three "basic" earth sheltering notions, the "elevational" plan, the "atrial" plan and the "penetrational" plan, with the backside window wells for light and ventilation. 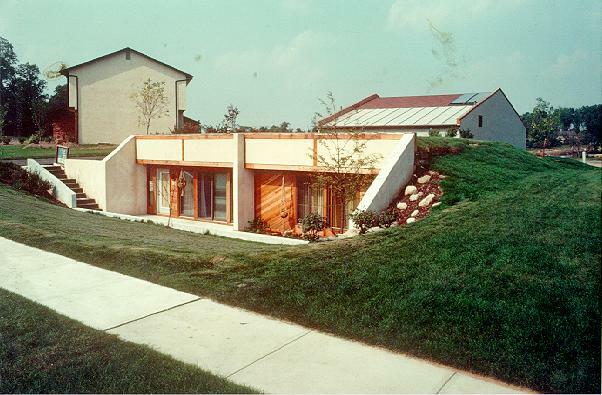 Earth homes can come in any size and shape; there are no limitations, except your own imagination. 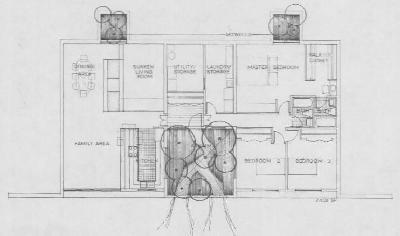 Let your mind roam free and sketch the "dream" floor plan of you "dream" earth home and let us knock it into an actual plan for you. Get wacky with it; get creative!! 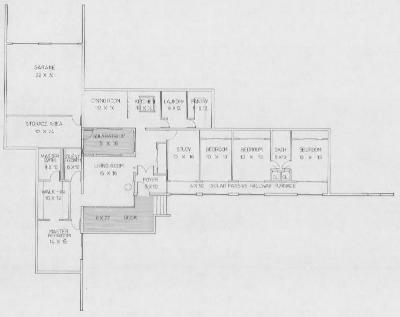 Here is the same plan rendered to show how it would look from the outside.